There are different types of hand planers. Each one of them has specific functionality to deliver, advantages, and disadvantages. Today, we can choose the block planers, jack planers, leveling, smoothing, and combination planers, as well as some other popular types, including machine planers, traditional Japanese planers, and the rebate planers. As each of these types has a different role in woodworking, which will help you complete your project in an impeccable manner, it is very important to know their pros and cons, as well as basic differences in detail. This will help you choose the best tool for your specific woodworking project. We recommend you to go through the different types of hand planes we will talk about in this article. We will summarize the functions, strengths, and weaknesses of each type. Pay attention to their features, as this will help you learn more about their areas of application. Let’s begin! We will start by introducing you to the basics of hand planers, types of wood planes and their uses as well as talk about the way they work. This will help you learn more about planers in general. Even though there are many different types of hand planers, the basic working principle is quite similar. Namely, we can explain planers in general as split tables. These machines are coplanar with the butter block. As a matter of fact, the rear table is in level with the block, while the feed table has an adjustable height. This is the basic principle behind hand planers. Even though planers do make one side flat, you should know that they don’t remove the twists and bows very well. Lowering the feed table can improve its performance. In this way, a planer can make equally thick boards and completely flat surfaces. Using hand planers with a platform will help you work quickly and make precise adjustments. When it comes to the benefits of hand planers, the greatest advantage of owning one of the types of hand planes is the fact that it saves a lot of time and effort. This mainly refers to time and patience paid to choose similar wood pieces, boards with the same thicknesses and flatness level. With a hand planer in your workshop, you can effortlessly buy rough wood pieces and work on them later to make them perfectly flat and equally thick. Similarly, you can re-use old pieces of wood, i.e. recycle it. Flattening a surface of an old piece of wood can make wonders for your new projects. Moreover, woodworkers emphasize that creating boards with parallel faces is another benefit of owning a hand planer. Using warped and twisted boards can be easy if you have and know how to use a hand planer. Of course, depending on how many types of hand planes are used in your workshop, the things you can do become more versatile. There are many different types of hand planers but we will mention the most popular ones. Those are block planers, with their low angle planer, pocket-size planer, and standard angle planer subtypes; jack planers, leveling and smoothing planers, with their subtypes, as well as combination planers, machine planers, traditional Japanese and rebate planers. Let’s learn more about each of these different types of planes woodwork tools. 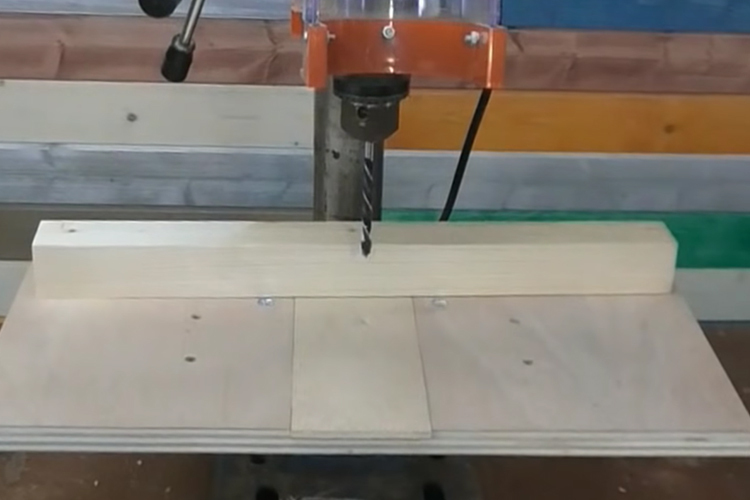 Block planers are affordable types of planers that are very small, convenient, and usually used by hobby users, for DIY projects, and in carpentry workshops. Their bevels face up. The tip of the blade has better support. The blade chatters less. These tools can fit into a toolbelt. They have several important functions. Block planers can be used for planning end grains. They are also suitable for fitting the doors and drawers if you are dealing with end grain assemblies. These tools are also very comfortable to use and hold in one hand. There are several types of block planers. We will talk about the low angle planer, pocket-size planer, and the standard angle planer. Low angle planer: This type of block planer has blades bedded at 12°. It is this feature that accounts for the peculiarity of the low-angle planers. Such low-angle bedding is perfect for cutting an angle around 37°. Why is this important? Such an angle is great for end grain planning. This is the key area of application of this type of block planer. Pocket-size planer: Pocket-size planers are small, sturdy, and handy tools with dimensions significantly smaller than the regular block planers. Their area of an application implies all works that require special attention to details. They are good for working on places that are difficult to reach or impossible to reach with a normal size planer. Standard angle planer: Standard angle planer has a bed angle measuring 20°. It is a compact and versatile tool every serious woodworker should have. It is used for edge-grain or face cutting an angle of 45 degrees if you sharpen the blade. Jack planers are the most versatile types of wood planes that exist. Having this model is like having different types of wood planes at once! They are longer than a smoothing type, but less efficient when it comes to smoothing a large piece. It is shorter than the leveling type. Therefore, it is also less efficient in making straight edges. However, this versatile tool is used for average smoothing and leveling works. Also, if you sharpen the blade correctly, you can use it for hogging off wood quickly. Also, you can use it to even the joints (e.g. table legs). There are several types of jack planers. Those the no. 5, no. 5-½, and no. 5-¼ planers. Let’s learn more about each of these types. #5 Planer: No. 5 jack planer is also known as the classic jack planer. It has a 2 inches wide blade. It has a body that is 5 inches longer than that of the number 4 planer. It is used for removing the milling marks, as well as scallops. It is also great for quickly flattening the surface and making it ready for a detailed finish work. #5-1/2 Planer: This type of jack planers is significantly heavier, and also longer and wider than the number 5 jack planer. What is it used for? It is perfect for planning difficult woods, due to its increased mass. #5-1/4 Planer: Being a typical jack planer with some principles, this type is lighter and narrower than the classic, number 5 model. Originally, this model was made for beginners in order to make their learning process easier. Therefore, the main use of these models is for training young professionals. Leveling planers have a wide and long body. You will also recognize this type when you lift one of its models. They are heavier than other types. These planers are used for flattening large surfaces. Also, they are very good at straightening the edges. They are very accurate. There are several types of leveling planers. We will talk about number 6, 7, and 8. #6 Planer: Planer No. 6 is as wide as the No. 7. Its key physical difference is in its length. It is 4 inches shorter than the No. 7. Planer No. 6 is designed for leveling most of the parts of a large surface. You should use the smoothing tool after it. It can also be used for truing and jointing. You should have two blades, as it is recommended to use different blades for these two actions. #7 Planer: No. 7 planer is 4 inches longer than the No. 6 model. It is among the types most commonly used by woodworkers today. Number 7 planer is used for leveling. It is also very good for straightening the edges before joining them. #8 Planer: Planer No. 8 is very large. It is also heavier, longer, and wider than the number 7. This type is perfect for wide and long edges. You should use the No. 8 to join this type of edges effortlessly. You can also use it for fittings of large parts, such as the entry doors. A smoothing planer is used to create silk-smooth surfaces. They are relatively short in length. It is used to make very precise, thin cuts, almost like shaving. These tools are perfect for popping the wood grains. The results are much better than those achieved through the sanding process. Therefore, woodworkers use these tools to prepare the boards for finishing. They are also great for wide boards and for fine-tuning. There are several types of planers including the ones for smoothing. Those include the No.4, No. 4-½, and No. 3 planer. #3 Planer: Number 3 planer is light and narrow. It is great for beginners as it is rather easy to use. It doesn’t require lots of muscle power at all. It has a 1-¾ inch wide blade. It is suitable for projects that require narrow shavings. #4 Planer: No. 4 is the most popular type among the smoothing planers. It is a lightweight, handy, and easy to use type. It has a 2-inch blade. This type is excellent for effortless woodworking. Its shavings are narrow. You don’t need lots of muscle power to use it. #4-1/2 Planer: This type of smoothing planer is somewhat larger and heavier than the No. 4. It has more mass and it is, therefore, easier to use. You can easily maintain the momentum. It has 2-3/8-in. Wide blade. It is used for planning difficult wood pieces. Combination planers are very adjustable and this is their key peculiarity and the underlying advantages. Therefore, woodworkers use them for different widths. Also, they are great for making the so-called “shoulders” on the wood piece edges. There are two main types of combination planers. Those are the two-plane set and the three-plane set model. Let’s learn more about each of them. Two-plane set: The two-plane set has a separate main body and the sliding section. Its key peculiarity is the option of accommodating the blades of different sizes. Also, you can accommodate blades of different shapes. What is this type used for? It enables making cuts as narrow as 3.2 mm up to 25.4 mm. You can make rabbets too. Three-plane set: These models are the combo sets of combination planer and a jointer. They are larger in size and more versatile. Therefore, they are also more expensive. They can be used for quality planning and joining. Except for these most common and best-known types of planers, there are some other very popular types you should learn more about. What are the different types of hand planes that always rank high among professionals and hobby users? Those include the machine planer, traditional Japanese planer, and the rebate planer. Let’s see what the peculiarities of these three types are. Machine planer: Machine planer is a tool that has a blade revolving at very high speed. Its greatest advantage is saving time. Therefore, it is often chosen both by professionals and DIY users. The only drawback is the fact that it is potentially dangerous. You must be careful and skilled if you want to use this tool. This model is used for a variety of applications, including smoothening and working the edge grains. However, the result is not always very precise. Traditional Japanese planer: Traditional Japanese planes are a whole new category in woodworking! They are different from all other models we know for one thing. The cutting happens on the pull stroke. Also, these models are made completely from wood (except the blades, obviously). These planes have a flatter body. They can be used to complete all kinds of woodworking tasks that the classic, western-style planes can. Their versatility when it comes to different areas of use makes you feel like you own several types of woodworking planes in your workshop. Rebate planer: Rebate planer is a hand-held tool with iron that goes along the whole tool, full width. It enables the downward motion when planing. This type is used to make the rabbets, also known as rebates or shoulders. What is a rebate? It looks like a step cut. It is useful for making boxes with rebates. We hope you have enjoyed this comprehensive discussion on the types. For more hands-on knowledge, you may engage yourself in learning how to set up a planer and use it to get the most of its power. For example, if you use large boards, you should go for a leveling planer model, if you want a silky-smooth surface, choose the smoothing planers, and don’t forget that the combination planers are the best for adjustable widths. 3 How to Measure Bandsaw Blade for Any Cut Type and Material? 4 How to Use a Tig Welder for Advanced Metalworking Projects?